Today It’s My SITS Girls Day (Again)! Good news is sure to put a smile on one’s face. And a few short weeks ago, I got the best of news in the form of an e-mail informing me that Friday, July 18th, would be my SITS Day, which did indeed make me smile from ear to ear!! To check it out, click here!! Well, that is today! What is SITS? For those who, don’t know SITS is a website that is a wonderful community of blogging women that was created and found back in 2008, by five women (Tiffany Romero, Francesca Banducci, Ashley Abele, Shell Roush, and and Kathy Bouska), who according to them simply wanted to create a space where bloggers could find their tribe and grow their audience. Although the site has evolved over the years, its commitment to this mission has not changed. Today, the site is home to over 75,000 members and I am proud to not only be one of these members, but also be a community lead, who gets to help with campaigns, such as the SITS Summer Social Love, as well as gets to write and share featured articles on the SITS Girls website (Stay Tuned on Monday for My First Feature Article to Appear). I also love how I have met and gotten to know so many wonderful and new bloggers from this online affiliation, by belonging to their closed Facebook group and visiting their open Facebook company page daily to connect with other SITS Girls, too. For those, who are new to my blog today, thank you so very much for stopping by and hope you will stick around for a bit to get to know me. Coincidentally, yesterday we just celebrated my older daughter (my girls are Irish Twins and 16 months apart), 5th birthday. So, I am still coming off the high of yesterday’s celebration. And for my returning readers, thank you as always for all your support and kindness, as always!! 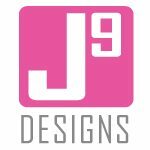 And please don’t forget to check out my web design company for specials running at J9 Designs for all your web design needs, too by clicking the link or the image above, too. « Happy 5th Birthday Emma! Happy SITS Day! I am fairly certain that if SITS didn’t exist our paths would not have crossed! Congratulations! I met Tiffany Romero at a Bloggy Bootcamp in Boston a few years ago and she was so nice! Congrats! 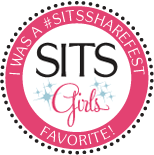 I am so thankful for the SITS girls, it has connected me to so many wonderful bloggers. Happy SITS Janine! Lots of wonderful things happening! Happy SITS Day, Janine! You totally deserve this! You are an amazingly, wonderful blogger and friend! Happy SITS day and congrats again for becoming a community lead! I know you will be great for the community. Thanks for linking on my weekend blog hop! Congrats on your SITS day! I had mine a while ago now, and it’s so much fun! Enjoy every minute! Happy SITS!! Congrats! Have a beautiful day! SQUEEEEEE!!!!! I am SO SO HAPPY it’s YOUR SITS DAY!!! I hope you find many more friends to follow, and I KNOW they will discover what a LOVE you are!!! Embrace the fame, my friend!! You deserve it!! I hope you’re having a GREAT SITS Day, and yay for being a Community Lead! I loved it when I was doing that, and it was such a wonderful experience. I hope you get as much out of it (or more) as I did. What a great description of SITS! Your girls are adorable. Happy SITS day! Well, congratulations on your honor, Janine. Well deserved of course. For those of us who have followed you from the beginning, it is no surprise at all. Have a wonderful weekend. CONGRATULATIONS JANINE! I just checked out your feature from the SITS Girls. You have an amazing blog and truly deserve to be recognized. Not to mention how talented you are with your blog designs. I love the picture of the girls. And hurrah for SITS and hurrah for happy birthdays too! Congratulations! And yes Janine yet again you inspire me. Thank you. I”ll check out the land of SITS!! I can’t believe you haven’t had your SITS day yet – have a great one Janine! Congrats!!! I look forward to seeing more of ya. CUte girls. 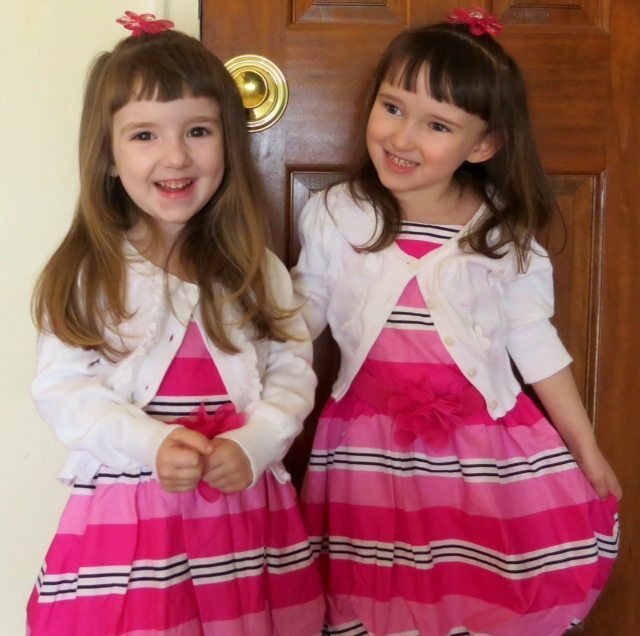 What are Irish twins? I dont get it because they are 16 months apart? Happy happy SITS day!! Hope you enjoy this day in the spotlight–you deserve it 🙂 You have a beautiful home here and my goodness…. your girls are absolutely precious. Have a great weekend; it was a pleasure to be here today. I’m so excited for you that it’s your SITS Day! Hope you get lots of love today! You deserve it…you are one of the kindest, most generous bloggers out there, and I consider myself lucky to know you! Have a wonderful day! Happy SITS Day! I remember mine still — sniff sniff. So fun! How exciting and what a wonderful opportunity for you. I love your the things that you share here and am happy for you that you can share it in a ever widening audience. You go girl! Congrats on the new adventure as part of SITS! Can’t wait to see where it takes ya! I’m excited as I hadn’t heard of SITS before! It sounds perfect for featuring on my site “When Women Inspire.” Maybe you could do a write-up about it for the site and your experiences with it? If you’re interested let me know 🙂 I’d link to this site and J9 as part of your bio. Happy Friday! I hope that you are enjoying our SITS Day! Congrats on your SITS day! Can’t wait to check out your blog! Oh, so exciting, Janine!!! I’m so far behind – I will try to get over to the SITS site but even if I don’t you will love this day!!! Enjoy! Happy SITS day! Your girls are adorable by they way. A beautiful inspiration for your blog. OMG Janine!!!! I didn’t know what this was until another (can’t remember who now) blogger told me about it and wow wow congratulations!!! Going there now!!! What a week! Emma’s bday and now your SITS one? So cool! Congrats to you! Your daughters are adorable and I’m so pleased that today was your afternoon, as I’m liking your blog thus far! HAPPY SITS DAY! I know you had a great day yesterday with Emma. This has so been your week. Here’s to an even better week next week! Happy happy SITS day Janine! I know all of your new visitors will love you! I was always worried a SITS day involved some sort of secret ritual and that on your SITS day, they’d cut your hair really short or brand you like they do in that one fraternity. Apparently, it’s kind of a spotlight on an outstanding blog and all kinds of support. Mine is on Tuesday! I’m so excited to get a second SITS day, and as a community lead with YOU! Beautiful girls! Looking forward to following your blog and getting to know you. Woohoo! Happy SITS day! And congrats on becoming a community lead and featured writer! I love SITS. I wish I had more time to put into the website. I don’t know how you find the time to do that????? Belated Happy SITS day wishes my sweet friend. So happy your wonderful blog was featured. Hugs!! the SITS community is my favorite of all the blogging networks. it’s how i met all my favorite people…including you! Woohoo!!! Happy belated SITS Day!!! Hey! I happened to be scanning recipes for pork chops on Pinterest and ran across a cute little webpage. I get to the bottom and TADA, the creator was YOU! No surprise there, but I just had to come tell you. Oh, it was Bitz and Giggles. I am sorry I just am not around very much anymore, but I am trying to keep up with social networks and I REALLY want to start a new blog later on when I have the extra cash and time to devote to it. I am loving that you girls are twirled around Frozen’s finger still. 🙂 Congrats to everything going on in your corner and HAVE A WONDERFUL DAY! sorry I missed your SITS day…YOU ROCK…and so glad you got asked, you so deserve it babe.